Fairhurst are pleased to announce the award of a £100m Geotechnical framework to our design and build partners QTS Group Ltd., as part of Network Rail’s Control Period 6. The hard work and dedication of the Glasgow geotechnical team in Control Period 5 has been rewarded, and Fairhurst look forward to another five year framework with the Lanarkshire-based specialist rail contractor. 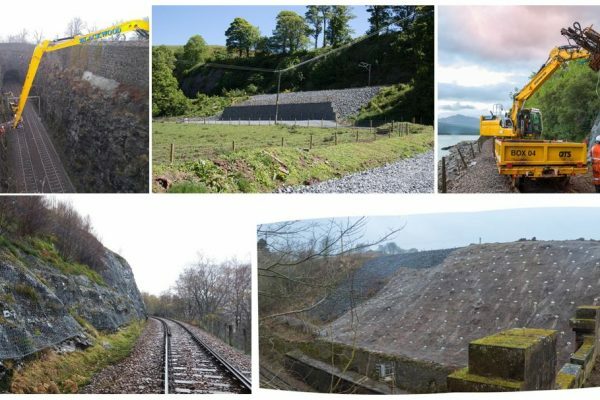 The framework will see the geotechnical team design solutions for a range of rock and soil slope defects, as well as responding to emergencies including landslides and rockfalls.